Ten years ago this month, I was published for the first time. An essay in Mothering Magazine, which was, at that time, an actual paper publication you could find on newsstands and in groovy places like health food stores. I remember getting in the checkout line at Whole Foods and spotting it on the shelf–the issue with Ani DiFranco on the cover. I opened it with shaking hands and a fluttering chest–a palpable thrill I haven’t quite experienced since. I did not know ahead of time that Mothering had commissioned art for the essay, and what charming art it was! Three pieces by Ben Hatke, who went on to write and illustrate the Zita the Spacegirl series (and to homeschool with his own family!) I loved how the illustrations seemed to capture my family, although Hatke had no idea what we looked like. The downside to being published in a physical magazine is that once the issue hits the recycling bin, the work is pretty much lost. I’ve long wanted to make my own PDF of the essay, and even got permission from Ben to use the illustrations. But I never quite got around to it–until this tenth anniversary approached. I finally did it! Here you go–a PDF complete with delightful art, to read, to print, to share with anyone who might be interested. Click on the image to open the PDF. Printing will work best if you open the file in your device’s PDF viewer, rather than printing from a browser. At a homeschooling park day a few years after the essay was published, I was talking to another mother and it somehow came out that I’d written the essay. She looked at me, incredulous, and said, “You wrote that?” And then she stepped towards me and wrapped me in an exuberant hug. And then another one. And another. She said my essay was what convinced her to homeschool. I felt like some kind of rock star. 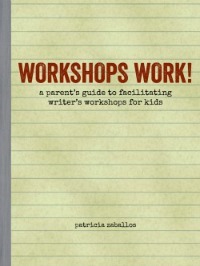 It’s hard to write about homeschooling for a non-homeschooling audience. That essay came about during a creative nonfiction class, after I submitted a more traditional homeschooling essay that I’d been working on for a few years. Nearly everyone in the class–fellow students and instructor–got completely sideswiped by the subject matter of that essay and forgot to offer much craft advice. They had so many questions about homeschooling in general. It was discouraging. Something about the format worked. It allowed me to delve into what homeschooling can look like without having to explain or defend it. Though when Mothering published the essay, they changed the title without informing me. 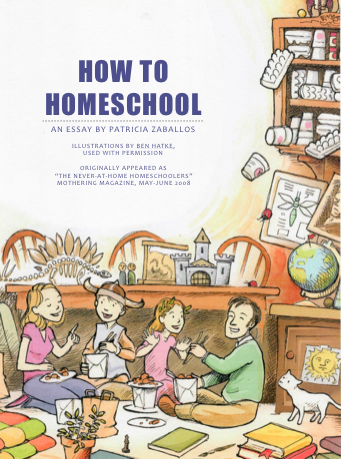 “How to Homeschool” became “The Never-at-Home Homeschoolers,” which always seemed odd, because that wasn’t the crux of the essay. 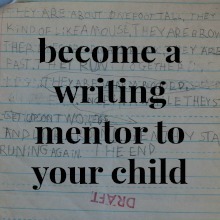 I’ve been trying to write about homeschooling for a non-homeschooling audience ever since. I suppose I’ve seen what such an essay can do, and want to aim for that again. I get frustrated with how homeschooling is so often misunderstood in the larger world. Though I get it: people don’t know any better, so they fill in what they don’t know with what they do. They know what school looks like and assume that homeschooling must be the same but at home: Mom presiding at the kitchen table, doling out worksheets and giving grades. I’m aware that some homeschoolers work that way, but most of the ones I came across during our twenty years of homeschooling didn’t. So I’ve written a couple of essay drafts for literary magazines, offering a window into what our homeschooling life looked like. I want to bust the myth that everyone homeschools for fundamentally religious reasons. I want to show that homeschooling can be a progressive, revolutionary act! Trouble is, I always feel like I have to tack on some sort of afterword to these essays. Some explanation of how the kids turned out, that might defend all the playing and reading and general fun-having I’ve written about. I don’t want to have to do that. I prefer essays that dwell in both doubt and delight. I don’t want to tie things up tidy at the end. No matter how I end these essay drafts, non-homeschooling readers have questions. How could the kids learn if they were playing so much? How would they stay at grade level? Did I need to test them? How would they develop social skills? How would they learn to do what they didn’t want to do? What about privilege? And what, exactly, was my husband was doing in all this? I can’t answer all these questions in an essay. It would take a book. It will take a book. I spent the past few months working on such an essay draft, aiming for a special issue of Creative Nonfiction on the topic of “home.” I had a blast writing about the different rooms of our house and what my kids did in them back in the year 2000. (Ships at sea in the family room, hollering in the hallway, etc.) I really wanted that essay to work, but ultimately didn’t feel I could pull it off without adding some kind of fairy-tale, it all turned out okay ending. Oh well. I’ll revise the draft and use it as a chapter in my memoir instead. Maybe it’s time to just focus on that memoir and stop trying to write these homeschooling essays for a non-homeschooling audience. Besides, I already did that. Ten years ago. So I’m putting this PDF out here and hoping you’ll share it. You don’t even need to put it in an envelope and mail it. (Though you could! Letters and mix-tapes are cool again!) Maybe you know someone who is thinking about homeschooling. Maybe you know a new homeschooling parent who has those “feeling overwhelmed” days and might find it buoying. Maybe you’re pinteresty or instagrammy or facebooky and might want to share in those spaces. And maybe, just maybe, someone will read it and it will help them make the decision to homeschool. And maybe one day they’ll write to me, or meet me at a park, or in a grocery store, and they’ll tell me so. And my chest will flutter all over again. wow! 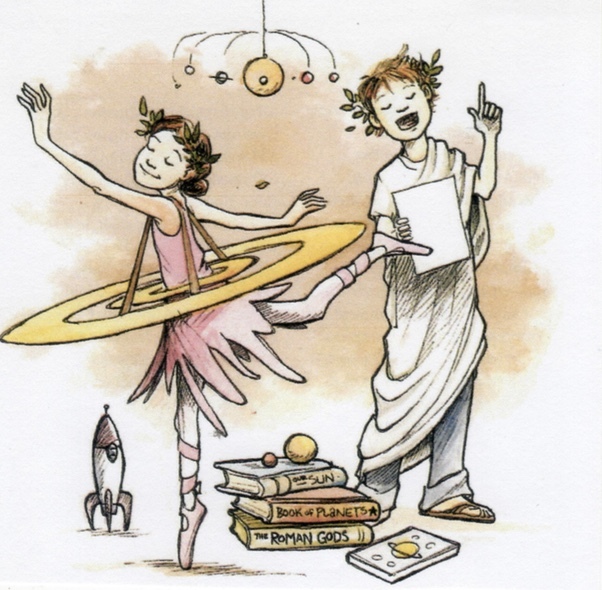 Lucky you to have your words, your family illustrated by Ben Hatke! I’m geeking out on that over here and haven’t even read the whole thing yet. Thanks for sharing. I know! I was thrilled when I first opened the magazine and saw the illustrations, though I didn’t know who Ben Hatke was at the time. This was before the Zita the Spacegirl books came out. I love the illustrations so much! I tried to get prints from him, but he no longer had access to the original art. Thanks for reading, Gloria! Thanks for posting this. As the boys grow up, I feel less and less like an active homeschooler. 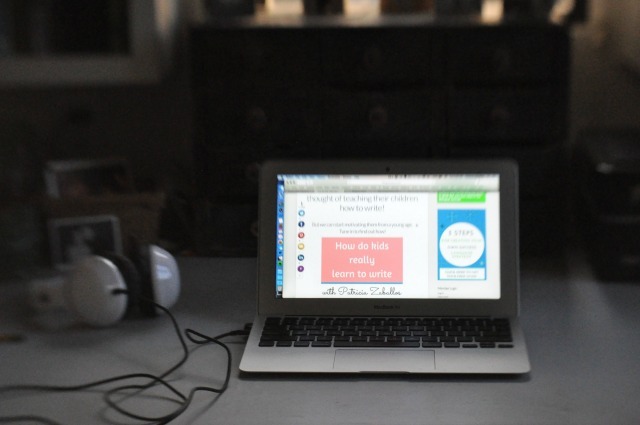 It’s nice to have a friendly article at the ready to give to people asking about homeschooling. Liz, one of my earliest memories of you was during a “planning meeting” at Home of Truth church in Alameda, and you had A. in a plaid sling–or at least that’s how I remember it. Slings, little homeschooled kids, Mothering Magazine…it all seems so long ago, doesn’t it? *sigh* It was a good life! What a great glimpse into all that homeschooling can be. Thank you for sharing this! Thank you for reading, Cathy! Long-time lurker, and I just shared your article to my Facebook feed. Your words felt like fresh-baked bread with home-made jam. We spent the last few months cramming to graduate my oldest son a couple weeks ago. He had some fantastic, lofty, pressing goals that we were happy to support, but PHEW!! I’m in recovery mode now! Looking forward to relaxing back into our more lossey-goosey homeschool groove with our younger four children. Love your style. Keep writing!